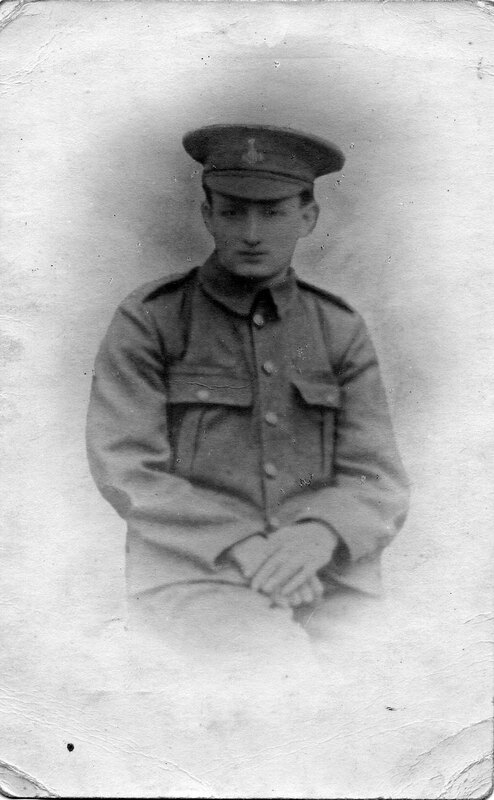 Private George Wilfred HARRISON. 2316. 5th Battalion the Yorkshire Regiment. Died at home 9 January 1915. Born Howden (Yorks), Enlisted Scarborough, Resided Wilberton (Yorks). 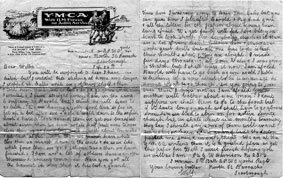 Donald Acton has also provided a letter written by George Wilfred to his brother William, shortly after he had enlisted in the 5th Battalion. 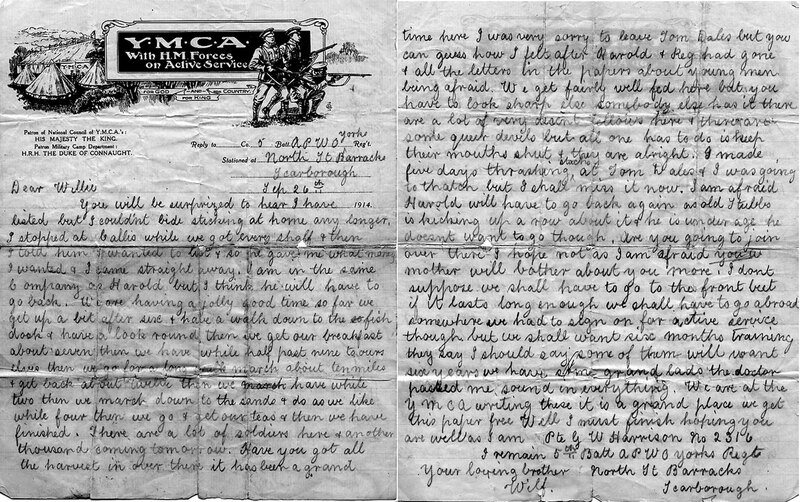 Select the image below to view a larger sized image of this letter. 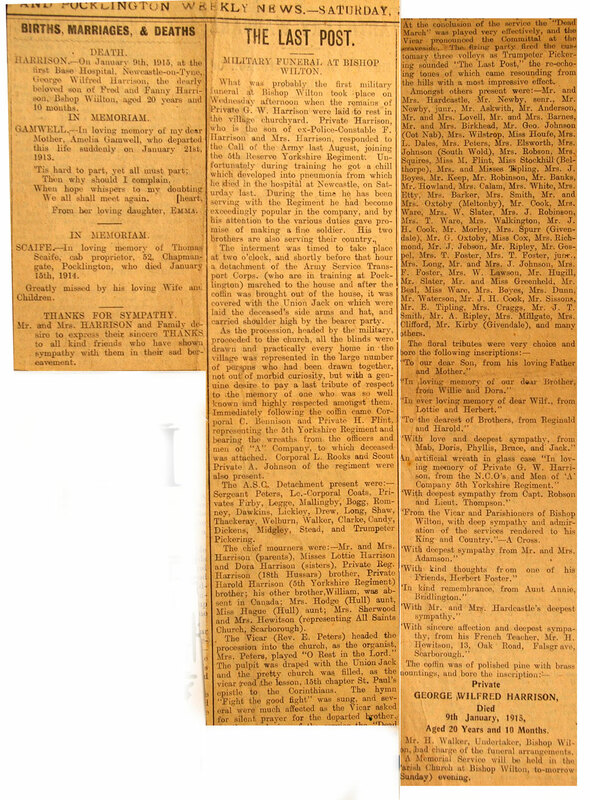 George Harrison's death in 1915 was reported in the local newspaper (The ... and Pocklington Weekly News") together with an account of the funeral. 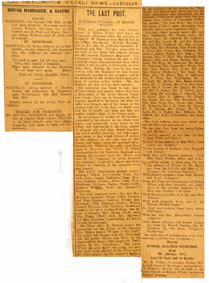 This may be read by selecting the image below, for a larger sized image to open in a new window.